Home / Blog / My Articles and Babble / Canon Super Telephoto 1200mm f5.6L – Yea Baby ! 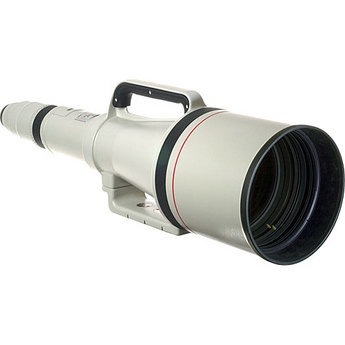 Canon Super Telephoto 1200mm f5.6L – Yea Baby ! I remember many years ago I went to a Photo Expo here in Sydney and they had one of these on display and the price was marked “POA”. I asked the guy at the Canon display how much it was and he pointed to a red Holden Barina that was also there on display and he said if you buy the lens you get the car. Enough said. Imagine stitching with this thing. Wow. This entry was posted in My Articles and Babble and tagged Canon 1200mm f5.6 super telephoto. Bookmark the permalink. You would only need to move the panoramic head 1mm to stitch with this thing. I think I would need to build an observatory to house it. Will my Lee Filters fit it? hmmm…. just imagine the tyre-kicking that’s going on in good old B&H right now with that. Last time I was there they wouldn’t even let me handle a 70-200mm L series, so just how they are gonna sell that baby is beyond me. (when I asked re the weight of the lens, the guy behind the counter looked it up on-line rather than reaching behind him and letting me hold it – took nearly 5 mins as well on his screen to check the weight…. ).